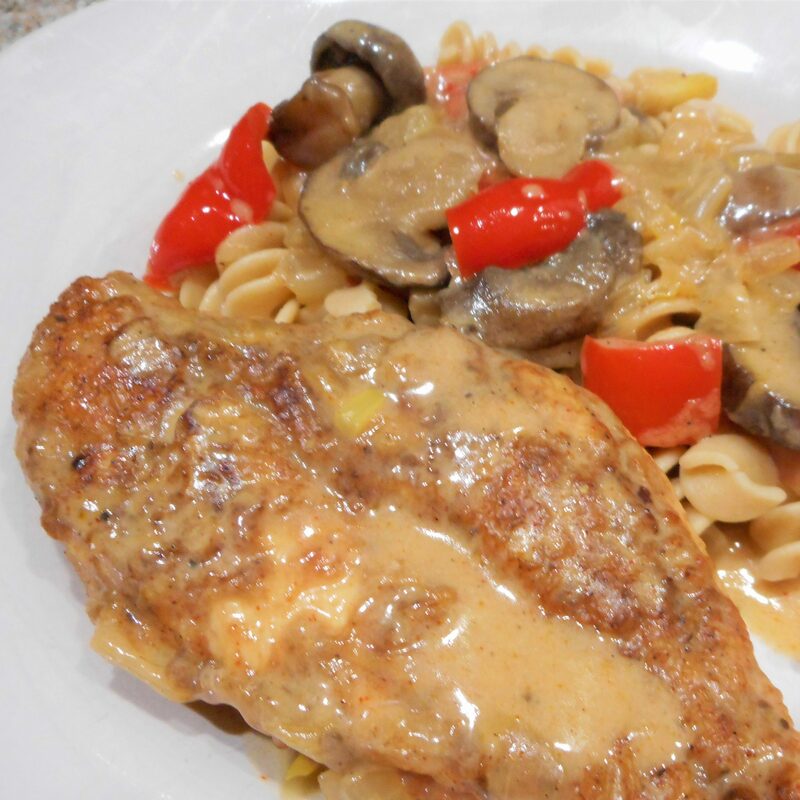 Chicken Paprika can be prepared with your choice of chicken pieces, be they boneless or bone-in, breasts, or thighs. Just be aware that while bone-in chicken may be slightly more flavorful, they will take longer to fully cook. 1. In a small baking dish or on a plate covered with a sheet of waxed paper, combine the flour, salt, pepper, and paprika. Generously dust the chicken pieces in the flour mixture, reserving the remaining flour. 2. In a large, heavy skillet heat the ghee or olive oil. Brown the chicken on all sides, then remove to a plate and set aside. 3. In the same skillet, cook the onions, garlic, and red bell pepper until they are just beginning to soften. Add the mushrooms and cook a couple of minutes longer. 4. Stir in the chicken broth, stirring up any browned bits from the bottom of the skillet, then return the chicken to the pan. 5. Cover, reduce the heat, and gently simmer until the chicken is cooked through, then uncover and allow the broth to reduce a bit. 6. In a small bowl, combine the sour cream and 3 Tbsp of the reserved flour mixture. Slowly stir in about 1/2 cup of the broth, a little at a time, to warm the sour cream without curdling it. Stir the warmed sour cream into skillet until heated through. Do not allow the sauce to boil. 7. Serve the chicken and sauce over hot cooked brown rice or noodles.